Since its inception in 1885, Tech has accumulated an extremely impressive list of alumni. The collection is rife with CEOs, military commanders and Nobel Prize winners. Two Yellow Jackets have even been elected president of their respective countries, Juan Carlos Varela of Panama and Jimmy Carter of the U.S. Considering these great minds that came before us, it is no wonder that Tech has garnered a reputation as one of the top technical institutions in the nation, and even the world. That being said, I believe that there is also an argument to be made about Tech’s contributions to the world of sports. When attempting to justify our place in the sports community, people often point to eminent professionals like Chris Bosh, Calvin Johnson and Demaryius Thomas. While it is true that Tech has produced some amazing athletes in the past few decades, our legacy in sports was already cemented almost a century ago thanks to a golfer named Bobby Jones. By the time Jones received his B.S. in mechanical engineering from Tech in 1922, he had already won the Southern Amateur tournament three times. In 1926, he became the first player in the history of the game to win both the U.S. Open and the British Open in the same year. Four years later, in 1930, Jones became only the second golfer ever to win the U.S. Open and the U.S. Amateur tournaments in the same year, a feat that hasn’t been accomplished since. That same year, he became the first and only player in the pre-Masters era to win all four major championships in one year. He did all of this while maintaining a law career, never advancing to the status of pro. He didn’t play golf to make money; he played golf because he enjoyed it. Jones became world-renowned not only for his skills but also for his sportsmanship. He took every opportunity to protect the sanctity of the game, even if it meant taking a higher score on his scorecard. As a result, the Unites States Golf Association began giving out an annual Bob Jones Award for players that exhibit the level of sportsmanship its namesake was known for. While these accomplishments alone are enough give him the status of a Tech legend, his biggest impact on the world of golf began in 1930. As one of the best-known athletes in the world, Jones decided to take a break from the public eye and retire from competitive golf. With the intention to create his own private club, he spent the next three years developing a small Augusta plant nursery into an upscale golf course. In 1933, when the course was complete, Augusta began to dominate the media spotlight; not only had the legendary Bobby Jones returned to golf, but he did it at a brand new course, the Augusta National. By 1934, pros from around the world were eager to play a round on Jones’ creation. The first Masters Tournament in 1934 gave them that opportunity, and it was a massive success. The tournament became an annual event, taking place on the first full week of April. As the years progressed, the tournament’s reputation grew until it became considered the most prestigious golf tournament in the world. It continuously made innovations that are now considered tournament standards, such as multiple color-coded scoreboards around the course, week-long passes and extensive television coverage. The tournament’s growth was also due in no small part to the course itself, which is widely considered to be the best golf course in existence. Ask any Augusta resident and they will wholeheartedly attest to Masters’ importance to their lives. They drive to work on Bobby Jones Expressway, one of the largest roads in the area. Their cars were bought at Bobby Jones Ford. More often than not, Spring Break is simply referred to as “Masters Week.” High school students across the city apply for positions at the event in hopes of filling their wallets or seeing one of the many celebrities that attend the event. Not everyone in Augusta is a fan of the sport. Nevertheless, they spend all week checking the leaderboards with excitement and the knowledge that history is being made right outside their doors. Not only does the Masters bring pride to the people of Augusta, but it also gives the city considerable economic stimulation. In 1999, it was reported that the Masters had an economic impact of $110 million. Prominent attendees of the tournament flock to Augusta in Bugattis and Lamborghinis, more than willing to drop exorbitant sums of money into local businesses. Business owners consistently expect to make over ten percent of their total yearly revenues in the single week alone. It is unusual to find a hotel that isn’t at full occupancy for the whole month of April. 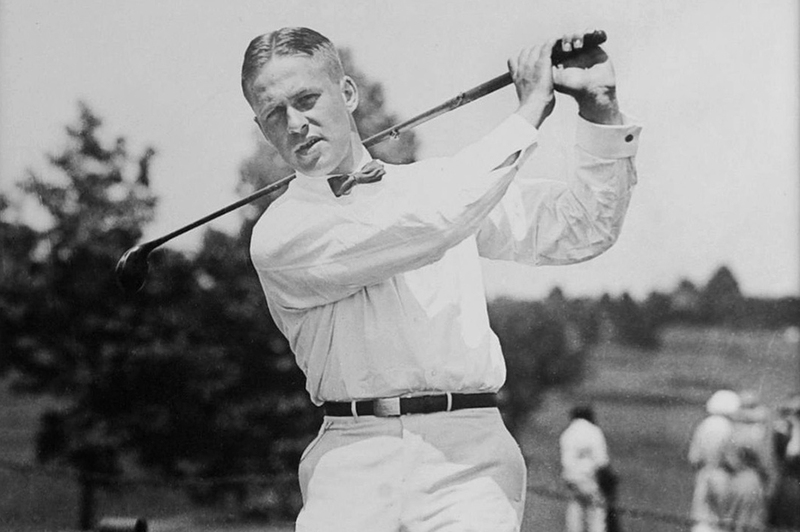 Thanks to Bobby Jones, Augusta is a town that runs on golf. Even with the large number of students from Augusta on Tech’s campus, very few people know about one of our most important alumni. Aside from SAE’s house and a plaque outside of the athletic complex, there is disappointingly little mention of the legendary Bobby Jones on campus. Either way we should not forget, particularly this week, about the impact Jones had on the game of golf and the state of Georgia as a whole. He should be a point of pride for Tech and the only justification we need to argue for our impact on the world of sports.